Here we will explain simple asp.net mvc example project with database / code download or step by step asp.net mvc application project with database download. We created simple step by step GYMONE project to let users learn mvc in easy way. we provided entire GYMONE project to download with Sql server Script which contains tables and store procedures which are used. Please read Text files ReadMe_First.txt file first. In this Application there are 2 Types of Users one will be Admin and other will be System User. This project aims complete on GYM process. 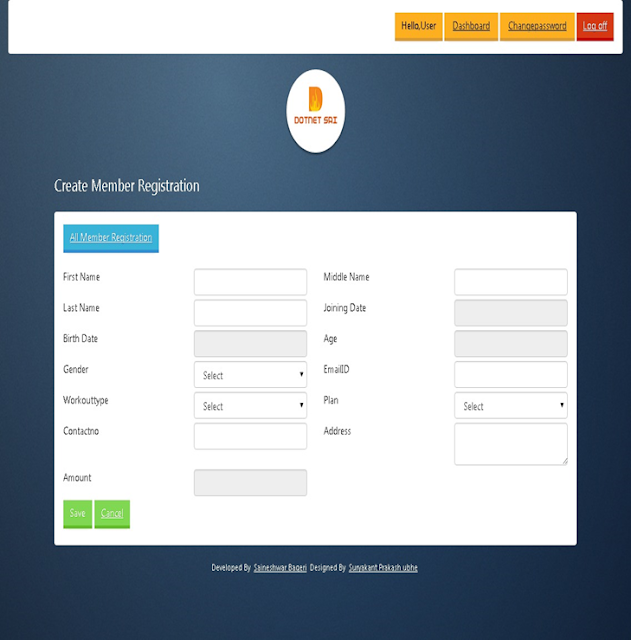 The Process starts with Membership when Member is newly joining GYM he is been registered in GYM Software by System User while registering he will ask to Member for which type of Scheme he will like to take (GYM+CARDIO OR GYM) and for how much period he will be joining GYM (Quarterly, Half Yearly, Yearly) According to this the Fees of GYM will be decided. After registering The Member is given a Receipt and Declaration form. the Receipt is sign be System User and Declaration form is been sign by Member who is joining the GYM along with this Member is told to provide legal Document proof of Address and Photo Identity. Now the Member can use GYM facilities till Period has paid for Services after completion of service he need to renew Membership it from System User for next Period ( Quarterly , Half Yearly , Yearly) and pay Fee to System User for that Period. The System user also has a Rights to check How much Amount has been Collected this month by seeing Month wise (Month wise Report Download) Report and if he want to check how much Amount has been collected this year than he can view Year wise Report (Year wise Report Download) and Finally he can also check which user renewal is upcoming to notify him about his renewal of Membership by viewing renewal Report. The Role of Admin is to Create and Delete System User and also assign roles (Admin , System User ) to them . He also has rights for Adding Scheme ( GYM+CARDIO OR GYM etc ) and Plan ( Quarterly , Half Yearly , Yearly) he can view All Reports Month wise collection Report and Year wise collection Report , Renewal Report according to this he can plan scheme for getting more Member to his GYM. 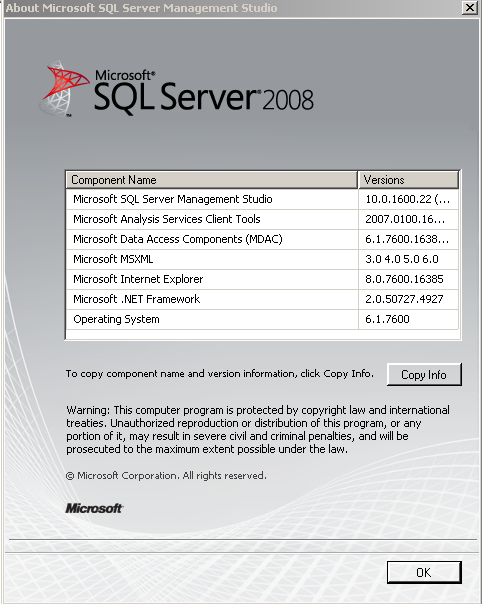 we developed this Application using Microsoft Visual Studio Ultimate 2012 with Microsoft SQL server 2008 and Reporting is done using Crystal Report Version (13.0.2000.0). 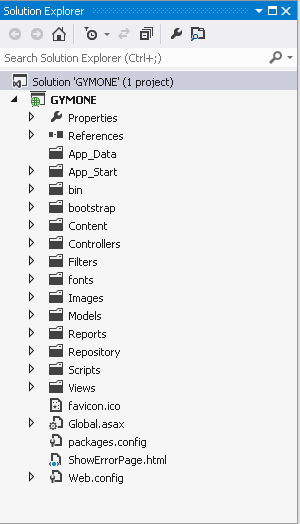 Project is Created using ASP.NET MVC 4 and Language Used is C# and ORM Dapper with Repository Pattern. 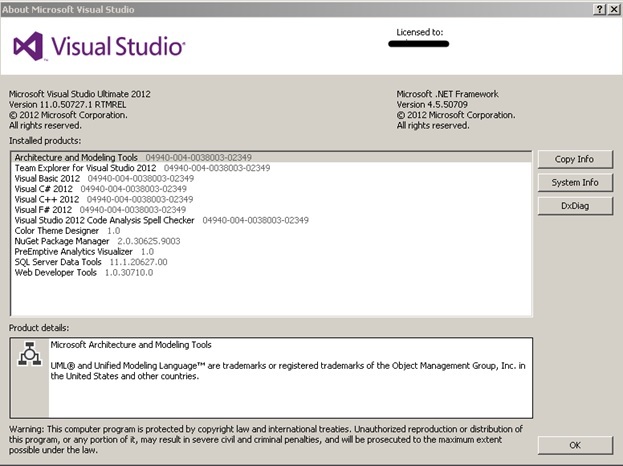 Microsoft Visual Studio Ultimate 2012. Finally after Understanding Process let check out which are the tables we had used in this Application. Please read Text files ReadMe_First.txt file first in this file entire process of database creation and Login details of file exists. 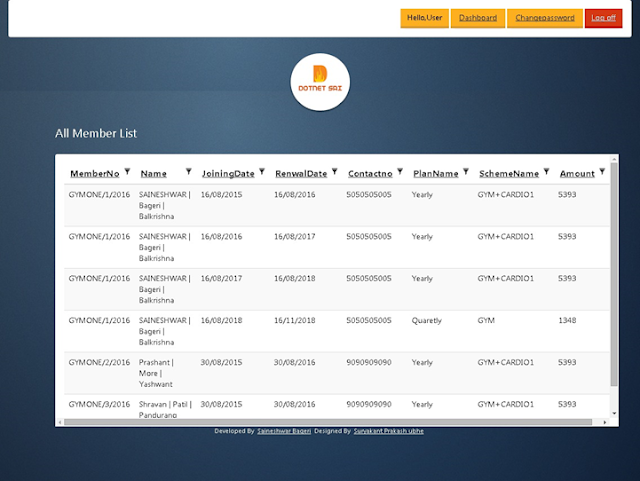 we have created database with Name GYMONEDBMVC inside this all this tables are present. The Project Name is GYMONE. Finally we had completed having look on folder structure now let’s check out our screens. 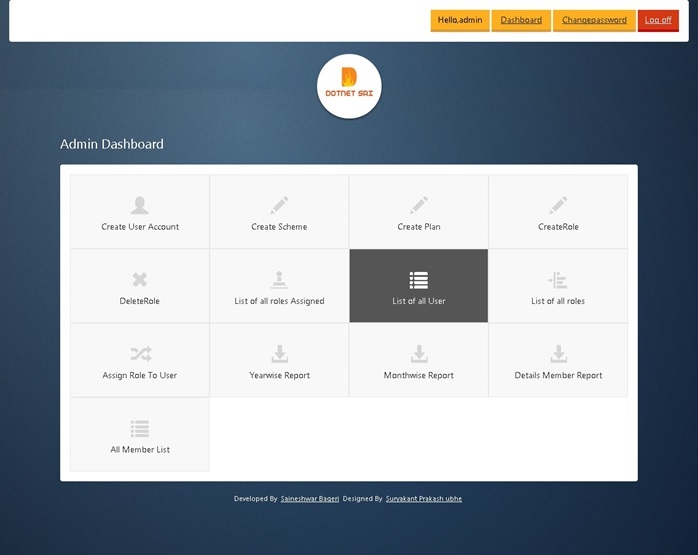 After login user will see this User Dashboard screen in which he will able to see all page which he can access. can you update this or give me solution how to insert this table when users registered. can you share your gmail id thats helpful for me. Hi Hamid Ali Khan Will Soon will come up with your need. You are getting this Error of (CrystalDecisions) because you do not have installed crystal report version 13 on your PC. Can you please help to make my login Authenticate ? 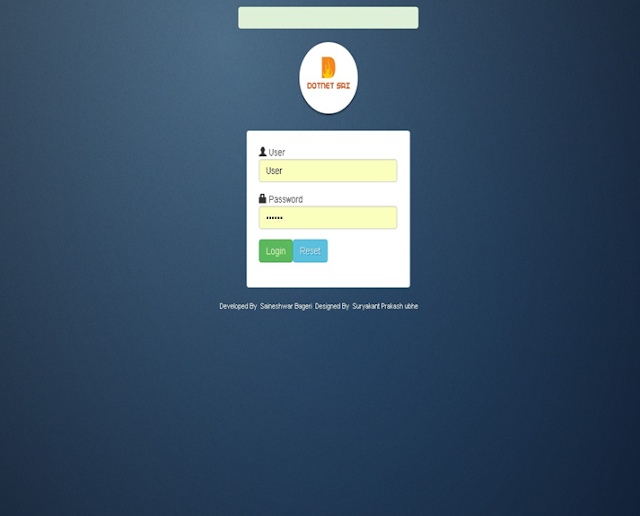 I have already designed & coded login part. How to update/upgrade this login to Authenticate with WebSecurity.Login()? Thank you Mr. Saineshwar Bageri. Excellent work Mr. Saineshwar Bageri. can any one Please share Username and Password of this project? I really need it, actually password is encrypted format. I am getting this error and cannot take the Reports.It is an urgent requirement.Any help is highly appreciable. The type initializer for 'CrystalDecisions.CrystalReports.Engine.ReportDocument' threw an exception. Finally fixed the issue.After uninstalling Crystal reports v14.0.4 and installed below one works fine. Please update the site with this URL..
1> No way to resolve conflict between "log4net, Version=1.2.10.0, Culture=neutral, PublicKeyToken=1b44e1d426115821" and "log4net, Version=1.2.10.0, Culture=neutral, PublicKeyToken=692fbea5521e1304". Choosing "log4net, Version=1.2.10.0, Culture=neutral, PublicKeyToken=1b44e1d426115821" arbitrarily. Any idea why this message? please can you guide in solving this issue. Does the source code available in GitHub? Not able to download the project. Can you please verify? Thank you Mr. Saineshwar Bageri.but crystal report is not working.. Your project is running fine except the crystal reports. showing error as "could not locate the assembly crystaldecisions.crystalreports.engine". what should be done with this? can you please help me out? Also I have downloaded the crystal reports 13 but it is asking for product id? i am not able to download this project could you please guide me what are the right step to download this project i really needed. Thanks a lot for sharing this project. I have no idea about MVC projects,But it help me very much. what is password to login..? Can you please explain how do you implement role based functionality in application? I couldnt download project realted source & DB SCripts , other files. Pls share links and credentials. report is not open in my system,why? link is open but no data is show. bro.... what is the password? where is registration link in login page? a little effort is needed http://localhost:2420/account/login this is login screen . Password : 123456 then it will not be able to validate you . As in the db your table is empty . 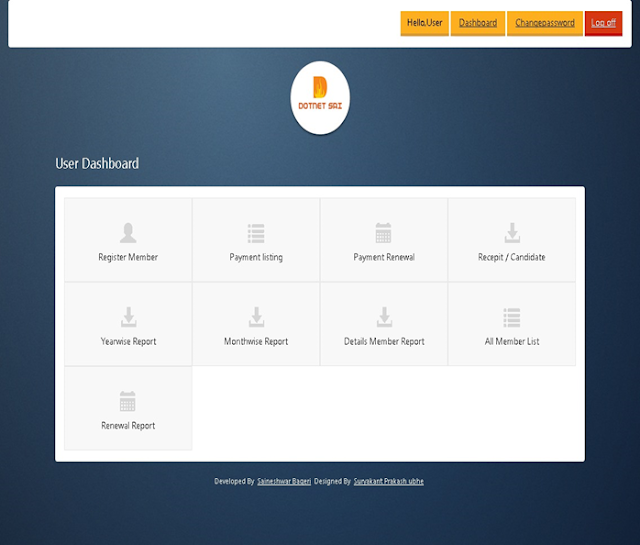 With this step you will have two user which have the authentication and voilla you can login as admin and user . I also recommend please follow the pdf guideline and then follow this steps. The system cannot find the file specified. Im getting the following error on this line "@Scripts.Render("~/bundles/jquery")"